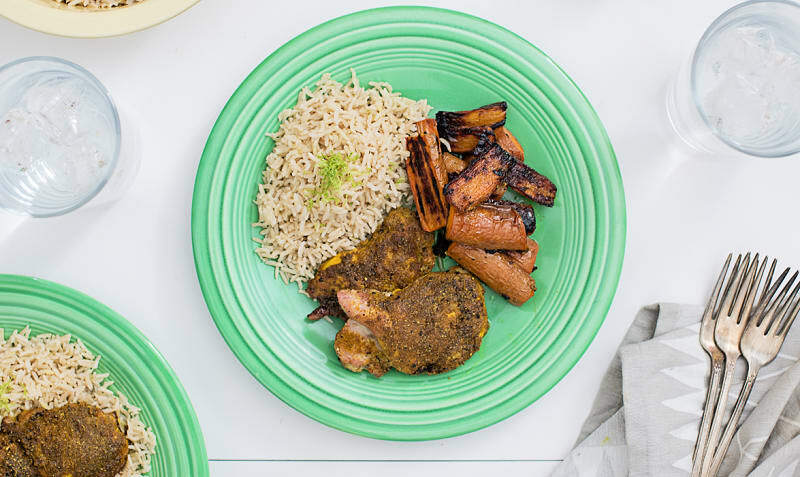 Fragrant Indian spiced boneless skinless chicken thighs are brightened up with citrus scented rice and roasted carrots in this tasty recipe. Best prepared within two days of delivery. Preheat oven to 475°F and line a rimmed baking sheet with parchment. Wash carrots, halve, and cut into 2-inch lengths. 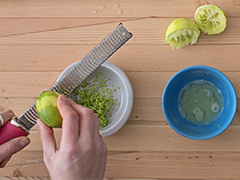 Zest and juice limes, keeping zest and juice separate. Place the chicken into a bowl with 2 tbsp oil and the seasoning mix and toss until well coated. Place the chicken in the center of the lined baking sheet and season with salt and pepper. 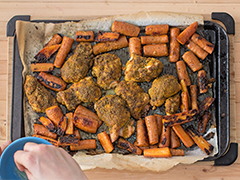 Scatter carrots around the chicken on the baking sheet, and drizzle with 1 tbsp of oil. (If using two sheets, divide chicken and carrots evenly between them). Roast until chicken is cooked through, occasionally tossing carrots. Chicken is done when an instant-read thermometer inserted into the thickest part of the thigh reads 165°F - around 25 - 35 minutes. While the chicken is cooking, bring 2 cups of water to a boil in a small saucepan with a lid. Add rice, and salt and pepper to taste, and return to the boil, then stir and reduce heat to low. Cover and let simmer. 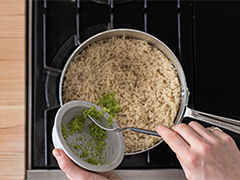 After 18 minutes, remove rice from heat, sprinkle lime zest over top, then cover and let it steam for 5 - 10 minutes. Once chicken is cooked, move it from the baking tray to a plate. 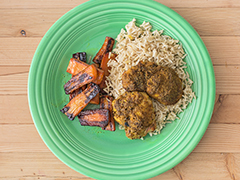 Squeeze lime juice over the carrots and chicken on the baking sheet and toss. Fluff rice gently with a fork and serve with chicken and carrots.